Back over Labor Day weekend when my parents were here we had double the fun one day when Matt’s parents were also in town!! What a great day to get to have BOTH parents over for a meal! Since that day both Mom’s have asked me for the recipe for the Pork Carnitas I made, which must mean it was extra good! 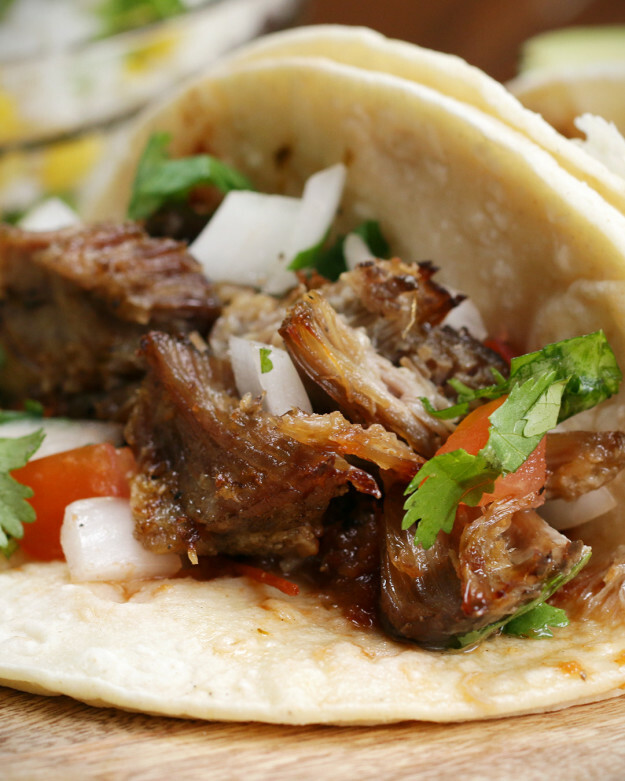 I wish I could take the credit for carnitas but they came from my new favorite recipe place… Buzzfeed Tasty!! A TIP!!! I used a cheaper cut of Pork from the grocery store, a roast and it worked just as good!! So I don’t think you need to spend a ton of money on the cut to make this meal a success! This is what I served with mine: 7 Layer Dip, Chips and Sophapilla Cheesecake for dessert! This meal will be perfect for a Game Day get together!!! Enjoy friends!